Knowing that this work week would be a bit stressful, Evan and I spent the past weekend watching the last season of Arrested Development (this show was soo good, why did they cancel it?) 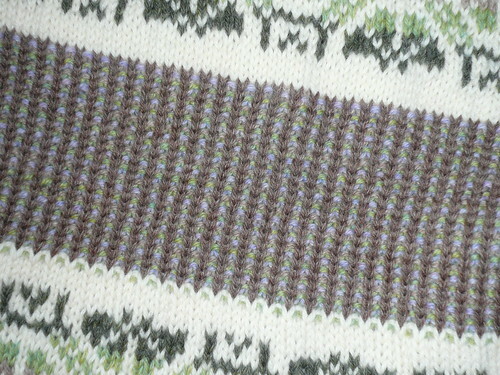 and I worked on my knitting. 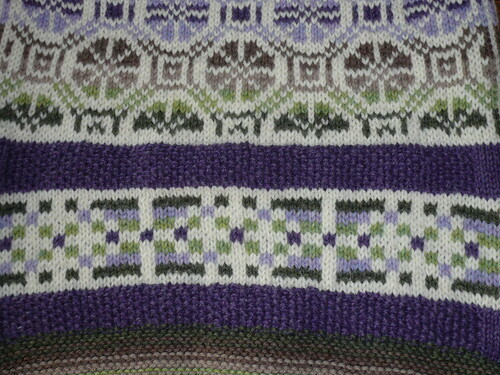 I worked on a project that has been rattling around since November, my fair isle bag. 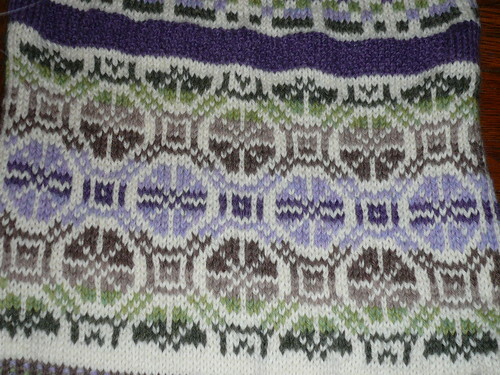 I was finding that after a few rows, my right hand (normally used only to hold the needle as I am a leftie knitter and I knit English) would get all crampy from purling, so I kept putting the project aside for other, easier knits. This weekend, I was determined to power through the knitting portion of the bag and I did. 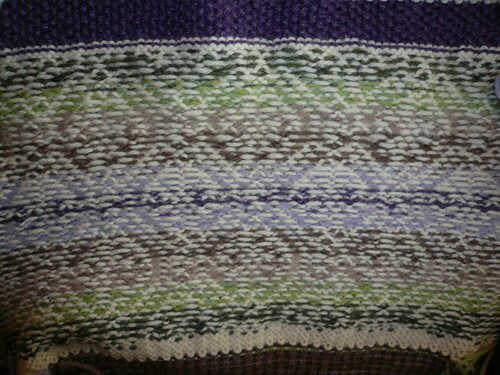 You can’t quite tell from this picture, but I finished all of the knitting. 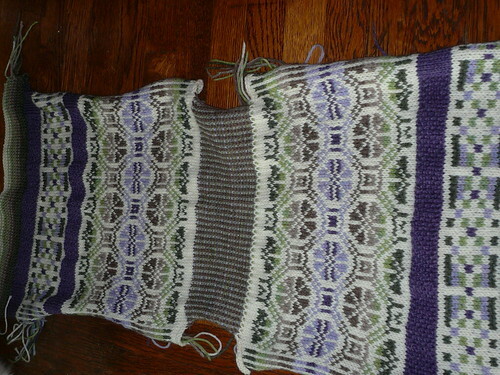 Now I just have a bazillion ends to weave in, seaming to do, a lining to make, but the knitting, it is done! To celebrate, I returned to my old favorite hobby, baking. When I was a graduate student I used to bake all the time, but now that I don’t have swarms of hungry graduate students around all the time I never bake. 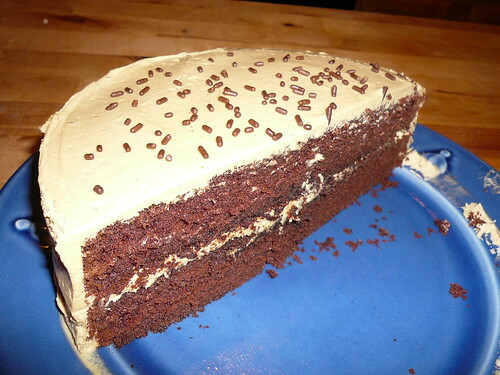 On Sunday, I made the Velvet Devil’s Food Layer Cake with Coffee Buttercream Frosting from Cooks Illustrated. It was sooo good and even better the second day.